Cheryl was born in Oakland, California and was the first child of Richard and Dorothy Milner. She was soon blessed with siblings Karyn and Gary. As the three children reached school age, family life centered around Our Lady of Lourdes Church and School. The Sisters of the Holy Names were their outstanding educators. When Cheryl became ready for high school, the decision was easily made to continue with the Holy Names Sisters at Holy Names High School. The vocation had been planted and was nurtured as Cheryl became a very involved in her high school activities. Entering the novitiate in Los Gatos and leaving family was a huge step. As college progressed, the first assignment was at Ramona Convent in Alhambra. Teaching the 7th and 8th grades at Ramona, St. Mark’s (Venice) and St. Anthony’s (San Gabriel) was a great experience of SNJM community life and proved to be good preparation for teaching at St. Monica’s High School (Santa Monica). After nine years in various roles at St. Monica’s, Sister Cheryl became Principal for another nine years. She then moved to Bellarmine-Jefferson High School in Burbank and was Principal for 14 years. Ready for a transition out of administration, she enjoyed four years at Paraclete High School (Lancaster) as the Assistant Principal of Curriculum and Instruction. 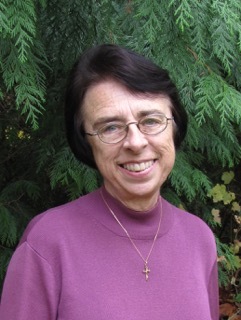 Sister Cheryl is now enjoying ministry as Director of Villa Maria del Mar Retreat Center in Santa Cruz, California. When reflecting on her 50 years, Cheryl is very grateful to have been blessed with so many wonderful friends, family and Sisters.